New Zealand is a member country of the Organisation for Economic Co-operation and Development (OECD) and a member of the Commonwealth of Nations. It has a well-developed infrastructure and is regularly cited as one of the least corrupt countries in the world. In 2017, New Zealand was ranked as the least corrupt country in the world in Transparency International's Corruption Perceptions Index. It has a relatively small population for its size (it covers 268,680 square kilometres and has a coastline of 15,134 kilometres; compared with the United Kingdom, which covers 244,820 square kilometres with a coastline of 7,918 kilometres. To further the comparison, the United Kingdom has a population of 65.6 million and New Zealand 4.8 million). These comparisons influence many essential characteristics of the country, including a low level of regulation, stability, and as an attractive, if remote, place to live. New Zealand's significance in wealth planning arises because of its attractiveness as a migratory destination, and as a centre for international wealth and succession planning. Of particular interest are the absence of most kinds of capital gains, estate or gift taxes, and the incorporation into statutory law of a variety of structures that do not tax overseas sourced income when utilised by non-resident persons. There is no estate tax or inheritance tax in New Zealand. Gift tax has been abolished. As there are no capital transfers or accumulation taxes in New Zealand, there is no need to employ tax planning that takes into account capital tax protection. The principal taxes in New Zealand are direct in nature: an across-the-board corporate rate of 28 per cent and a progressive individual rate of up to 33 per cent apply. An indirect tax is levied on the provision of goods and services, and is charged at a rate of 15 per cent. it has comprehensive anti-money laundering legislation and is a founding member of the Financial Action Task Force (FATF). New Zealand tax treaties generally follow the standard OECD model. Currently, New Zealand is party to 40 double tax agreements, which are summarised in the following table. New Zealand is also a signatory to 19 tax information exchange agreements. New Zealand is a signatory to the OECD Convention on Mutual Administrative Assistance in Tax Matters, which came into force for the purposes of New Zealand domestic law on 1 March 2014. In June 2014, the New Zealand government signed an intergovernmental agreement (based on a Model 1A type) with the United States for the implementation of the Foreign Account Tax Compliance Act. The New Zealand government implemented the OECD Common Reporting Standards (CRS) on 1 July 2017. The CRS is a system for the automatic exchange of information between countries about the source and beneficial ownership of financial investments. New Zealand will only provide financial account information to the 60 countries that it has deemed to be reportable jurisdictions (the list is subject to change annually). New Zealand tax residents are taxed on their worldwide income. An individual is resident for tax purposes if he or she has a permanent place of abode in New Zealand, or is personally present in New Zealand for one or more periods exceeding 183 days in the aggregate of any 12-month period. The income of non-residents is also subject to income tax if it is derived from a New Zealand source, although the operation of a double tax agreement may limit liability. Employment income is taxable on a gross basis and no deductions are permitted for expenditure incurred in deriving employment income. Employers withhold tax from salary and wage payments under the pay-as-you-earn system. Self-employed individuals pay tax on a net basis and are allowed deductions for expenditure incurred to obtain their income. As mentioned, there is no capital gains tax in New Zealand; however, care must be taken not to buy and sell property within a short period of time or in such a way that a pattern of regular trading activity is established, thereby making any gains taxable under the residential land withholding tax regime or as business income. In New Zealand, an investment that produces overseas income is called a foreign investment fund (FIF). There are three broad categories of FIFs: foreign companies, foreign superannuation schemes and foreign life assurance policies. FIF income is taxed as it accrues, not on distribution to the owner of the FIF. The FIF rules do not apply where an individual has total FIF interests worth less than NZ$50,000 in a particular tax year. Controlled foreign companies (CFCs) are a subset of FIFs. A CFC is a foreign company that is controlled by five or fewer New Zealand residents (note that there are various de facto tests for control, and the basic de jure standard is that a holding of greater than 50 per cent of the shares on issue will be deemed to be a controlling interest), or that is at least 40 per cent owned by a single New Zealand resident, where no one foreign resident has a higher individual holding. The FIF rules do not apply to an interest of 10 per cent or greater in a CFC. In such cases the CFC rules come into play. There is a consistency rule that requires a person to use the same income calculation method if the person has two or more attributing FIF interests. The different methods are complex and advice must be taken before determining which method of calculation is to be used. However, in a broad sense the calculations will be made on the basis of reference to the gains or losses overall and not to income derived or distributed. When insufficient information is available to calculate income derived precisely, a deemed rate of return is applied. An active income exemption applies generally to all interests of 10 per cent or greater in a foreign company. This exemption comes into effect where the active business income test is satisfied. If 95 per cent or more of the income of the CFC or FIF in question is derived from an active business enterprise (as opposed to passive sources of income such as interest, dividends, and royalties), then there will be no attribution of income to the New Zealand-resident holder of that FIF or CFC interest, irrespective of the fact that it might otherwise be considered to be an attributing interest. Dividends paid to resident persons by foreign companies are generally exempt from tax in New Zealand. Foreign dividend income will, however, be assessable in the hands of a resident individual if the attributable FIF income method is used, or if the individual is subject to an exemption from the FIF rules (including the scenario where the CFC rules apply). Resident companies will be taxed on their foreign dividend income only where the dividend is paid on fixed-rate shares, or where a deduction is granted in respect of the dividend in the jurisdiction of tax residency of the foreign company paying the dividend. New Zealand taxpayers may claim credits for tax paid in other jurisdictions, even where there is no double tax agreement in place. For the credit to apply, the tax in question must be of substantially the same nature as New Zealand income tax. New Zealand's intestacy rules are regulated by the Administration Act 1969. The property of the intestate deceased is vested in the Public Trustee, and devolves according to the provisions of the Act: in the first instance, to any surviving spouse, children or dependants; in their absence to the parents of the intestate; failing which, the brothers and sisters of the deceased inherit in equal shares. If there are no brothers or sisters, then the property passes first to the grandparents, and in their absence, to the uncles or aunts of the intestate. In the event that none of the heirs identified by the Act are in existence, then the assets are deemed to be bona vacantia, and pass to the government. New Zealand's domestic law of wills is based on the English model, as is the underlying principle of complete freedom of testamentary disposition. A person must be 18 years of age before he or she can make a will. A will is subject to certain formalities in wording and in witnessing. A will must be in writing and generally be in a specific format, and words of formality are required. There must be at least two witnesses who are in the presence of the person who makes the will and those persons must subscribe their full names, addresses and occupations. Each page of the will must be signed by the testator and also by the witnesses. New Zealand recognises the principle of testamentary freedom, and therefore does not have a forced heirship regime. There are, however, several important exceptions to the principle of testamentary freedom. In addition to the standard common law avenues that may be pursued to challenge the validity of a will (lack of testamentary capacity, duress, etc. ), there are two statutory mechanisms that allow for courts to intervene and alter the division of an estate as stipulated in the relevant testamentary instrument. The Law Reform (Testamentary Promises) Act 1949 provides for the recognition of promises made by a testator during his or her lifetime to make provision for a person in his or her will, and the satisfaction of that promise from the estate where no provision has been made for the person in question. The Family Protection Act 1955 allows the court to make orders mandating departure from the disposition of assets stipulated in a will where inadequate provision has been made for persons to whom the testator owed a moral obligation of financial support. New Zealand may be a useful planning jurisdiction in relation to countries that do have forced heirship regimes. Because of the primacy of the doctrine of testamentary freedom, New Zealand law does not recognise the concept of forced heirship. Consequently, there is no corresponding legal category into which a foreign court order based on that concept could be translated. Even in the case where one of the statutory mechanisms for the recognition of foreign judgments, such as those available under the Judicature Act 1908 or the Reciprocal Enforcement of Judgments Act 1934, is applicable, it would be difficult to sustain an action for the enforcement of a foreign judgment, as the New Zealand-resident respondent would usually hold the assets at issue pursuant to some kind of trust. New Zealand has no specific asset protection law. However, the laws that cover insolvency and liquidation can effectively provide an asset protection structure. The Trusts Bill (the Bill) is currently before Parliament and aims to modernise and clarify the Trustee Act 1956. The select committee has received submissions on the Bill, but it remains to be seen whether any changes have been made to the first draft. There are some unique features of New Zealand trust law that the Bill will add or build upon, including the ability to have special trust advisers, investment advisers and managers, with wide discretionary powers and the ability to add and remove beneficiaries. A protector or investment manager, who again need not be a New Zealand resident, can be given relevant advisory and discretionary powers. New Zealand is not a signatory to the Hague Convention on the Law Applicable to Trusts and on their Recognition, and some aspects of New Zealand trust law are not compatible with this Convention. New Zealand trusts currently have a maximum trust period of 80 years and the Bill aims to extend this to 125 years. Marital property, known in New Zealand as relationship property, is regulated by the Property (Relationship) Act 1976. Relationship property claims may be brought by persons who are married or persons who have lived in a permanent relationship. There is no difference whether the relationship is a homosexual or heterosexual relationship. Broadly, all property obtained during the relationship is divided equally. In respect of property that is brought into the relationship, an assessment will be made of any contributions the other party has made to the property after it was introduced. Divorce in New Zealand is known as dissolution of marriage. In New Zealand divorce may be obtained on a no-fault basis on grounds of separation for two years. Dissolution of marriage may be obtained by the parties without recourse to legal counsel. An application for dissolution may be made unilaterally or jointly by the parties. Under New Zealand law, adoption must be approved by the family court and may be carried out by any persons over 20 years of age. Adopted children enjoy the same succession rights as any biological children of the adopted family. Except in a business context, premiums paid for insurance policies are not tax-deductible in New Zealand. There are, therefore, limited opportunities for insurance planning. In general, the tax treatment of insurance payments in New Zealand depends on what the payment is compensating; insurance for loss of capital assets is non-taxable, but income-replacement insurance may be taxed. Therefore, the receipt of a death benefit will generally be non-taxable. Most New Zealand businesses are held in partnership or in closely held private companies. Company constitutions and partnership agreements almost always contain provisions that provide for business succession between shareholders. Commonly, these set out a mode of pre-emption on a notice of sale or the death of a partner or equity owner, which enable that person's share to be valued and disposed of to the continuing owners. Regardless of whether there are such provisions contained in the rules of the holding entity, in conventional family companies the interest of the outgoing shareholder or partner is valued and the acquisition price for that share is fixed as a debt repayable upon demand, in some cases carrying interest. In the case where the debt is owing to an individual, this debt is often forgiven on that debtor's death by will. An alternative method of disposition of business succession is via a trust. The shares or participation in the company or partnership are held by a trustee, who may distribute those shares to a family member or members at dates agreed by or fixed by the settlor or other members of the family. Offshore companies have not featured prominently in New Zealand-based planning strategies for some time, because of the introduction of New Zealand's CFC and FIF rules in the late 1980s and early 1990s. Where offshore companies are utilised, they are generally held by overseas entities such as foreign trustees, individuals or foundations. It remains to be seen whether the changes made to New Zealand's international tax regime during recent years will result in a resurgence of the use of offshore companies held directly by New Zealand entities. Pre-immigration planning usually involves the establishment of trusts or foreign companies, or both. It is unwise for a New Zealand resident to be holding substantial investment assets outside New Zealand because of the adverse tax and other planning and reporting rules within New Zealand. Failure to plan will reduce flexibility in the future should the individual or members of his or her family wish to leave New Zealand. Therefore, any gifts or transfers of property should be made before a potential donor becomes tax resident or domiciled in New Zealand. Ideally, a family management company should be established outside New Zealand, which will hold the assets to be invested and managed overseas. This company should be owned and controlled by a foreign trustee under a foreign trust to avoid any CFC issues or domestic tax issues in New Zealand. Capital and income that is to be utilised to settle the family in New Zealand and provide the family with a reasonable standard of living should be repatriated to New Zealand and maintained in a separate domestic structure. The overseas structure should be used to enhance and develop the family's long-term investment wealth, with resort to such funds being used for New Zealand purposes only in exceptional cases. Provided a New Zealand resident has been absent from New Zealand for more than 10 years, he or she may obtain the benefit of the transitional residence rules upon re-establishing residence in New Zealand. Those rules exempt a person who is to become a resident in New Zealand from taxation of all income, except that derived from active business enterprises in New Zealand, and the provision of services overseas, for a period of 48 months from the date of establishing tax residency. Accordingly, a returning resident may safely plan to return to New Zealand and, before the expiry of the relevant period, leave New Zealand for another jurisdiction. Alternatively, he or she may utilise the transitional period to set up legitimate overseas structures that will reduce future New Zealand taxation liability. New Zealand tax residency is lost after spending more than 325 days in any 12-month period outside the country; however, the maintenance of enduring ties with New Zealand, in particular the retention of a permanent place of abode, may result in tax residency being deemed to have continued. Once tax residency has been lost, the expatriated person will only be liable to tax on income derived from a New Zealand source. Expatriation from New Zealand for tax purposes is achieved by losing tax residency. There are no significant departure issues in New Zealand. There are no expatriation rules or penalties in New Zealand. New Zealand trust law is derived from English trust law. For a variety of fiscal reasons, the trust is commonplace in New Zealand. New Zealand trust jurisprudence is robust and well understood by lawyers, judges and accountants. the trust may operate for a maximum of 80 years (although the Trust Bill aims to increase this to 125 years). Trusts occupy a particularly favourable position in the New Zealand tax regime. Provided that the assets of the trust are contributed by a non-resident settlor, and none of the trust property consists of New Zealand-situated assets, then in the vast majority of cases the income derived from the holding of those assets can be received by the New Zealand-resident trustee, and distributed to non-resident beneficiaries, without any liability to tax arising in New Zealand. Apart from the residential land withholding tax that applies to non-residents or entities controlled by non-residents who purchase residential property located in New Zealand, there is no capital gains tax in New Zealand. Any capital increase in the value of the trust's assets is, therefore, not taxable. Limited partnerships were introduced into New Zealand law by legislation enacted in March 2008. A limited partnership comprises at least one limited partner, and a general partner who is the manager of the limited partnership. The limited partner may not, subject to minor exceptions, take part in any management activity. In return, the limited partner enjoys the protection of limited liability in respect of the debts and liabilities of the partnership. The partners may be natural or legal persons, and need not be New Zealand residents. However, requirements that a partnership should have at least one general partner that is either a New Zealand incorporated company, a New Zealand resident person or a New Zealand unlimited partnership have come into effect on 1 September 2014. The partners may or may not have a participation in the capital of the limited partnership, although the limited partner would usually be granted an equity interest in the partnership in return for contributing the capital used to establish the partnership. A limited partnership, as distinct from a general partnership, is treated in New Zealand as having a separate legal personality. It is registered in the same way as a company with the New Zealand Companies Registry. The public information in the Companies Registry comprises the name of the limited partnership, details of its registered office and the identity of the general partner. The identity of the limited partner is protected as confidential information in terms of the legislation. The partnership agreement is a private document and is not registered in the Companies Office. Limited partnerships are transparent for tax purposes. 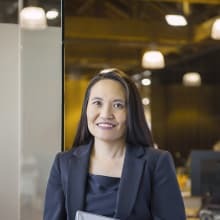 In other words, in determining their liabilities under the Income Tax Act, the Inland Revenue Department of New Zealand will attribute the partnership's income, expenses, tax credits, rebates, gains and losses to the underlying partners in proportion to their partnership interests. 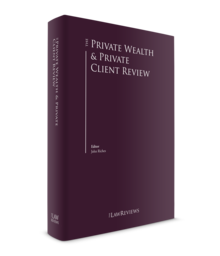 The limited partnership can be particularly useful in offshore wealth planning. The partnership will generally be recognised as a separate legal entity under foreign law, and therefore can be useful in mitigating the problems associated with the lack of recognition of trusts in certain jurisdictions. A foreign trust could act as the limited partner of the partnership, with 100 per cent of the partnership interests being held by the trust. The income generated by the partnership assets would therefore flow through to the trust in its entirety, and would be eligible for all of the benefits enjoyed by foreign trusts under New Zealand law. The identity of the limited partner would also be confidential, and could only be disclosed in a limited number of circumstances. New rules have been introduced for the taxation of collective investment vehicles resident in New Zealand, or portfolio investment entities (PIEs). These rules are aimed at making New Zealand more attractive as a jurisdiction for funds administration. The major problem with the taxation of PIEs under the previous regime was that foreign-resident investors in PIEs were taxed fully on the income attributed to them, irrespective of the fact that the PIE may have derived that income entirely from sources outside New Zealand. This was in contradiction to the basic policy of the New Zealand tax base that non-residents should only be taxed on New Zealand-sourced income. The new rules provide the opportunity for a PIE to elect to be treated as a foreign investor zero-rated (FIZR) PIE (for tax purposes), which allows foreign investors to be taxed at a rate of zero per cent on the foreign-sourced income they derive through the FIZR structure. the holdings of the entity must comprise at least 90 per cent passive income-generating assets. The New Zealand administrator of the PIE will be either a New Zealand trustee or the directors of a PIE company. In the case of a company, it is suggested that a separate company administrator be appointed. the investors are notified foreign investors (NFIs). NFIs are non-New Zealand-resident investors. They may be natural persons, or any other legal entity, including a New Zealand exempt trust. The NFI must provide the FIZR PIE with the personal information of the NFI, which will be held by the administrator of the FIZR PIE. The NFI must also certify that it is a recommended investor. The PIE must file a tax return each year and prepare accounts. These accounts need not be audited or publicly filed. keep records of all the above for a period of no less than five years. The AML Act takes a risk-based approach to compliance. Reporting entities (within the limits set by the AML Act and its regulations) have some flexibility to determine the way in which they meet their obligations based on their risk assessment. the Department of Internal Affairs. As mentioned, New Zealand has a lightly regulated economy. It has recently passed tax reforms, considered in the body of this chapter, that make its taxation system simpler, as well as reducing income tax rates. This has resulted in an increase in high net worth families and individuals moving to New Zealand. New Zealand is also overhauling the financial advisory system. Recent financial market reforms include changes to the regulation of capital raisings, and to how financial products and services are created, promoted and sold. The financial crisis has not affected New Zealand's banking system, although a moderate slowdown occurred in the economy following the 2008 crisis. New Zealand has, however, not been significantly affected by this downturn. As a founding member of both bodies, New Zealand is fully compliant with FATF and OECD standards and is known as a transparent and safe jurisdiction. As the taxation system in New Zealand is simple, and the government runs a surplus, there is no foreseeable need to change the tax system for fiscal reasons. New Zealand has a voluntary taxation system, and the absence of wealth and most capital taxes makes it an attractive place to live and invest. 1 Geoffrey Cone is the founding partner and Claudia Shan is a partner and head of legal and international compliance at Cone Marshall Limited. The writers would like to acknowledge the assistance of James Gribbin, solicitor.